If ApiOmat is installed as a whitelabel solution, it is possible to configure plans for apps and connect standalone and/or existing billing and order processes. The Basic plan settings can be modified, but the Basic plan itself cannot be deleted and is the default plan for new apps. transactionId = generated ID which can be used to identify the order during the whole process; it is recommended to attach this ID to every request, especially the redirect URLs. 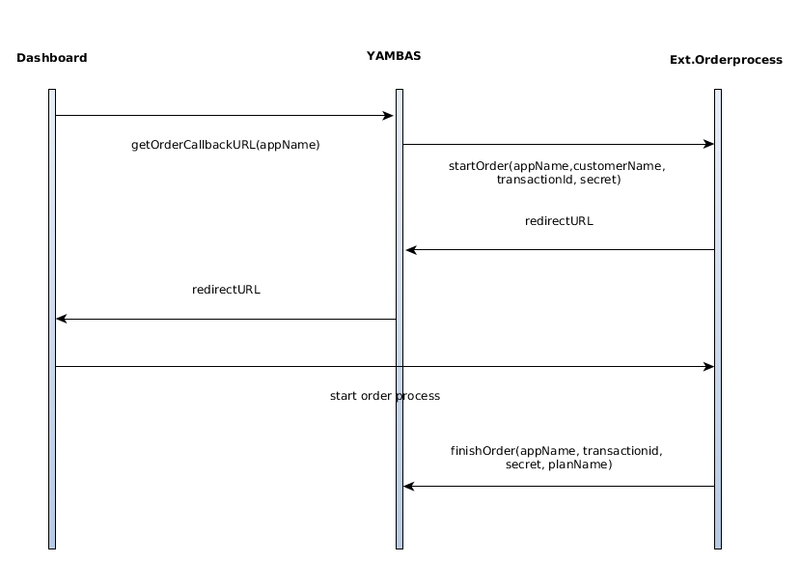 secret = secret generated by YAMBAS which is only shared with the external order service; is used to validate the order finalization and prevent customers to update their app plans for themselves. Must not be shown to the customer or any other client! The request must return the redirect URL in the response and a response code of 200 or 201 in case of success. Otherwise, the return code is returned to dashboard. A response of 200 is returned in case of successful order and the app has the new plan set.